Summary: Using rhyme, the story shows that even with outward differences (color, gender, race, physical challenges), children everywhere are basically the same and are all loveable. Perspective on gender/race/culture/economic/ability: Diversity is the essential theme of the book and the illustrations picture children of many different races, both genders, and children wearing glasses and in wheelchairs. There is, however, no child that is overweight. Mixed racial families and friends are also depicted through illustration. Theology: God created all life and granted people differences in color, gender, shape and size. Since God is good and wholly perfect, the diversity he created must be a good thing. God’s love is available to all of us no matter who we are, where we live, or what we look like. Since we’re all children of God, we’re all one family. Jesus told us to love our neighbors as ourselves and to love one another has he loved us. What children’s song does this story remind you of? What are some things that children from a different country, with a different skin color, who speak a different language or use a wheelchair do that are just like things you do? What are some ways we can act towards others to show that we are all part of God’s family? 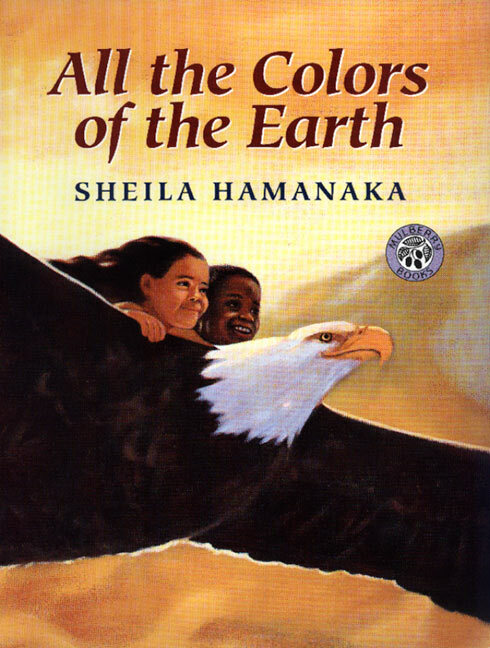 All the Colors of the Earth by Storypath is licensed under a Creative Commons Attribution-NonCommercial 4.0 International License.